Shih Tzus are amazing dogs and have special travel requirements. 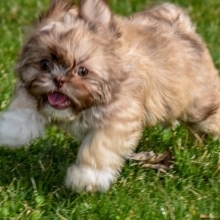 Our dedicated travel team will work with both you and your puppy's breeder to schedule the best accommodations for your puppy's needs. 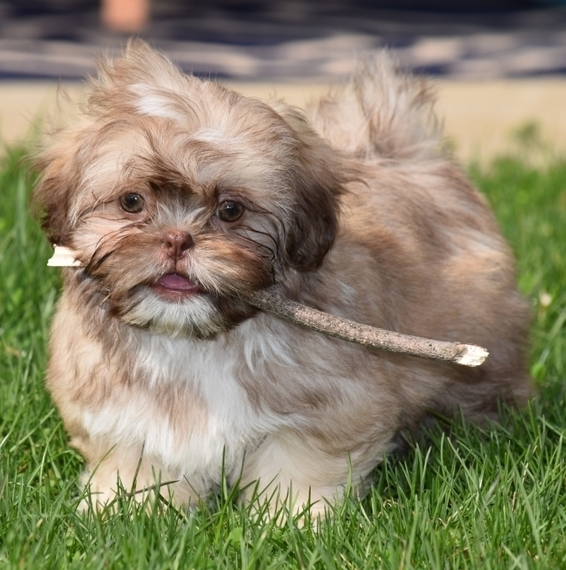 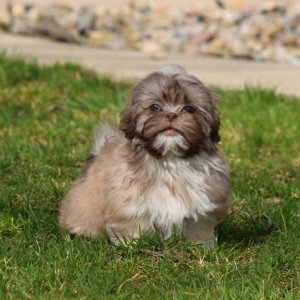 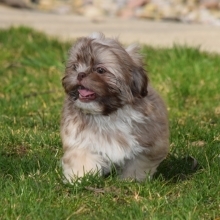 We require Shih Tzu puppies to spend a little extra time with their mommies and littermates till they weigh 2 lbs. or are 12 weeks old (whichever comes first) before they can go to their new fur-ever home. Finn is a happy puppy full of boundless energy, ready to take on the world! His bold attitude is very charming, and he is happy to be the fearless leader of his litter, especially when exploring the outdoors! 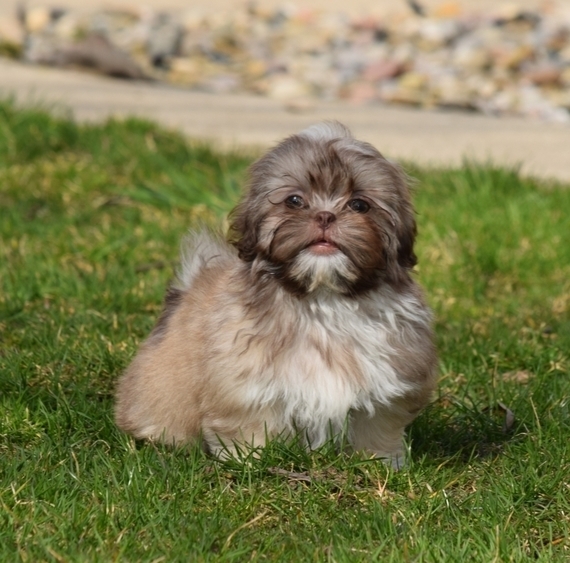 He may be the smallest, but he's ready to prove that sometimes the best gifts come in the smallest packages! 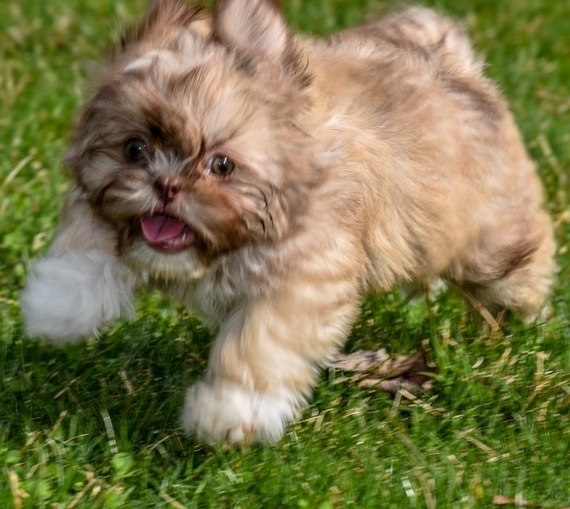 He is ready to be your best friend on all of your adventures!